A quick view of the most influential metrics in Claremont. Claremont is close to everything. It’s a small neighborhood in Arlington conveniently located Only 6 miles away from Washington DC and less than 4.5 miles to The Pentagon. In addition to easy access to commuter routes and walking distance to restaurants and shopping including Target, Burlington Coat Factory and Crossroads Place Shopping Center. The neighborhood contains large amounts of green space including Bancroft Park with running trails and Bancroft Sports and Fitness Center which contains Arlington’s largest gymnastics training center, a boxing training gym, fitness room and a variety of classes and sporting activities. Just two miles away is the Army Navy Country Club. Claremont neighborhood is primarily made up of 3-4 bedroom single family homes. The largest portion of these homes was built from 1970-1999 and the next largest portion of the homes was built between 1940-1969. The homes combine modern materials and garden city planning. Homes for sale come in a variety of sizes and styles insuring that potential buyers can find what they need. To begin your home search in Claremont, call local real estate agent Rich DiGiovanna at 703-690-1891 today. View our selection of available properties in the Claremont area. Check out the latest demographic information available for Claremont. 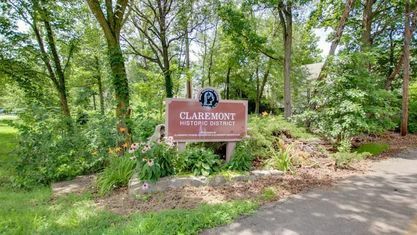 Get to know Claremont better with our featured images and videos. Browse through the top rated businesses in the most popular categories Claremont has to offer.